Loved the property. Just the right amount of luxury, not too much and not too little. Property was just as advertised, no surprises. 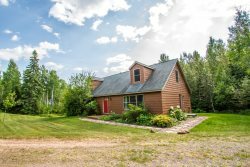 Quiet location, not hard to find and within easy driving distance to Tofte. Comfortable and clean. Huge selection of movies, games and music. Location is fantastic. Views are beyond outstanding. The space is just wonderful and so comfortable. We immediately felt at home and all of us knew we would have a hard time leaving. I have been staying at various places on the North Shore for more than 30 years, and when I walked into Drom Hytte I thought - this is it, this is home away from home, this is perfect. Perfect location close to both Lutsen and Grand Marais for groceries, activities etc., every need met in the cabin, the cabin itself is lovely and cozy and so comfortable, and the most astonishing part is the view out all the great big windows of that amazing lake, the shore line, water on the rocks. It just has it all. Heaven Sent is my very favorite place to stay. I love the privacy, that is so needed, the quiet, the comfortable home. I hope to keep coming back. It is a bit expensive, so I appreciate the special deals. Loved the condo! Looked just like the picture and very clean. Would definitely stay here again. The location was great, just as described . This was a great home/condo and the views were amazing. My girlfriends and I spent the weekend up in Grand Marais for our inaugural girl's weekend. It was cold and rainy all weekend, which didn't make great weather for hiking but it did for staying in and catching up. It was very cozy and made for the perfect weekend away. The home was very comfortable and clean. I enjoyed the grounds and beautiful views of the lake. I'll definitely stay here again. We loved the home! The location was perfect for us. We took the Grandkids to Gooseberry and the Split Rock Lighthouse one day and into Duluth for a tour of the Glensheen Mansion and the Aquarium another so that worked out perfectly. The kids spent so much time playing next to the lake and looking for interesting rocks. I thought the kitchen was great and the amount of cookware provided was awesome. The furniture was very comfortable and the beds were first class. We have been staying at resorts and their beds are usually as old as the resort! We are already making plans for another trip next year. Please thank the owners of the home, this is a trip the family will stick in our memories. I hesitate to say how much we loved this cabin because then it might be hard to find openings. We did love Table Rock - it is rustic and looks like we think a North Shore cabin should look. Beautifully built, lots of room, amazing huge deck looking right out at that magnificent inland sea, beautiful views of the lake from almost every window, kitchen well stocked, had everything we needed. We will definitely be back. Wonderfully clean condo. Great views.